Its nice seeing Von Wafer try to be more of a team player. I wish Artest could learn from him! 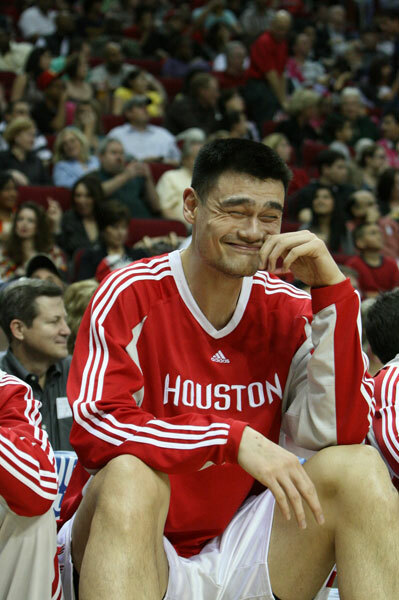 Been a while since Yao isn't constantly doubled or tripled. 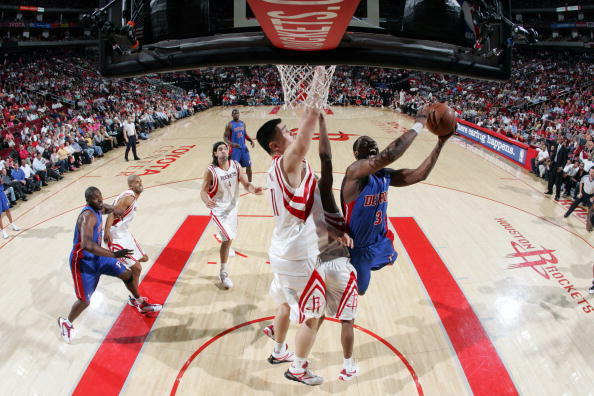 Pistons mostly relied on straight up, physical defense. True but he still has had opportunities score more 0,1 or 2 points. I wish Artest could learn from him! It's not going to happen. He isn't going to change. this game went 2 OTs too long. 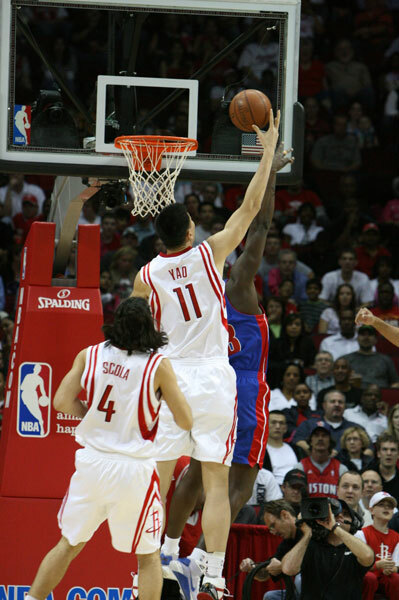 Yao was unstoppable with the single coverage and had scored like 10 points in a row. He definitely has more confidence in blocking shots. Let's hope he also demands the balls more. Here's RA post game comments. That's right RA said it. Listen to the rest of his post game interview. 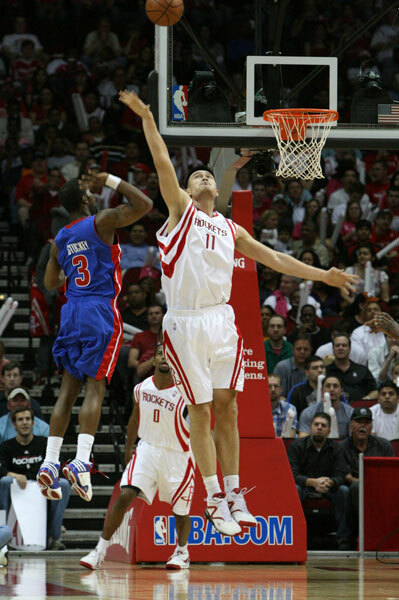 It's Yao's FAULT that he isn't getting the ball in the post. It's pretty much like what I've said. He is just to nice and want to fit in. That's nice but the Rockets can't afford to have him do that. When teams play him straight up, like the Piston did tonight and like the Spurs are going to do Sunday. 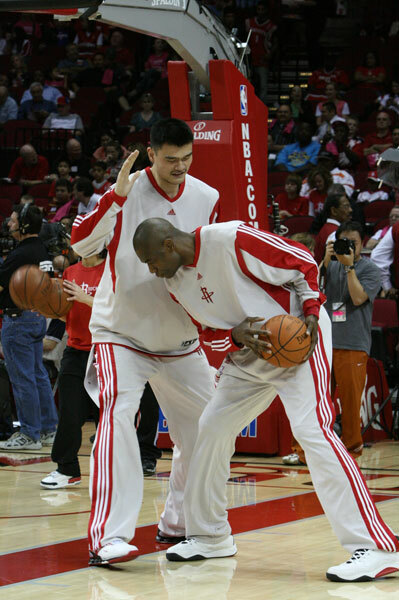 Yao just has to get it into his head to go out and kill these type of teams. I don't know but according to RA is still learning to do that. After 7 years in the league FFS!!!!!!!!!!! 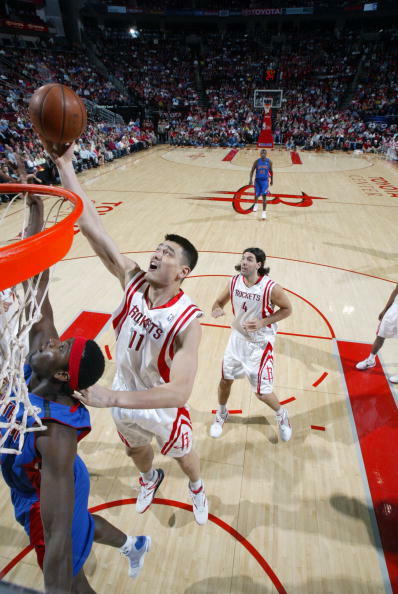 yao is just too nice... alot of chinese are like that..
Big Yao in action !! I wouldn't use the word 'nice' but i'd say they are just generally more timid and not aggressive.